Uncertainty quantification can unlock the difference between success and failure. The Uncertainty Quantification Foundation is a nonprofit dedicated to the advancement of predictive science through research and education. Uncertainty quantification turns unknowns into information that enables better solutions. We support the development and dissemination of advanced tools and technologies for uncertainty quantification. We strive to broaden the study and application of uncertainty quantification to pave the way for discoveries and innovations in complex real-world problems. We are scientists, engineers, and statisticians specializing in uncertainty quantification and statistical science. The Uncertainty Quantification Foundation connects specialists with industry and research institutions to share ideas, exchange technologies, and improve solutions. We have a passion for solving difficult problems and we develop the tools to do so. Uncertainty quantification (UQ) is a burgeoning field, however many people are still unfamiliar with what it is, or how to apply it. We work with industry and research institutions to further the growth of UQ and supporting technologies. We provide research support, development, and technology transfer. We believe in open source and transparency in research. Uncertainty quantification (UQ) can dramatically increase predictive accuracy, provide design optimization, and foster rapid solution improvements in world filled with unknowns. However, UQ requires a paradigm shift in thinking to apply it successfully. We provide workshops, trainings, and research support to assist in the application of UQ and supporting technologies. Uncertainty is an innate part of the real world and effects almost all aspects of engineering design, modeling, and risk. Often, inputs or outputs in physical experiments can be unknown, hard to measure, or have errors. Data may be statistical, probabilistic, or have innate randomness. In order to solve the problem, assumptions and approximations are often made, even when they are difficult to verify and validate. By using UQ to quantify uncertainty, we can utilize sources of uncertainty as information, and make better decisions. 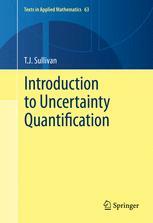 Uncertainty quantification (UQ) formally addresses unknowns in statistical science. Quantification ultimately is the ability to express all information in a problem in a mathematical or computational form. UQ is the expression of uncertainty, or what is only statistically known, in a form that can inform a solution. UQ can enable you to use the entirety of your knowledge about the quantities you care about, in the construction of better predictive models, the design of better experiments, and the advancement of science. Many commonly used statistical technologies fall under the umbrella of UQ, including: risk analysis, engineering design, Monte Carlo sampling, Bayesian inference, and machine learning. Research professor in the Institute for Advanced Computational Science at Stony Brook University. Expertise in advanced computing and applied mathematics, with a degree in materials physics. Specializes in design and implementation of software for predictive modeling of complex physical systems under uncertainty. Consulting experience in financial, energy, and technology markets. Research professor of Bioengineering, Computing and Mathematical Sciences, and Computation and Neural Systems at Caltech. 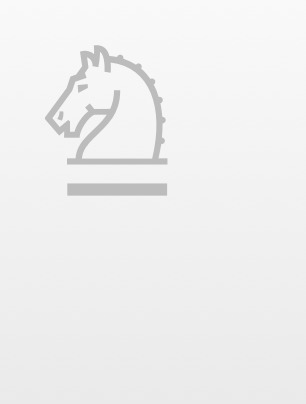 Expertise in applied mathematics, machine learning, and statistical sciences. Specializes in the modeling and analysis of systems characterized by uncertainty. Extensive research experience with the department of energy and the department of defense. Professor of Applied and Computational Mathematics and Control and Dynamical Systems at Caltech. Specializes in the modeling and analysis of systems characterized by multiple scales, geometric structures, noise, and uncertainty. Expertise in anomalous diffusion, geometric integration of multi-scale stochasitc mechanical systems, and the optimal quantification of uncertainties. Professor in Applied Mathematics at Free University of Berlin / Zuse Institute Berlin. Specializes in risk and uncertainty quantification. Expertise in applied mathematics, probability, statistics, and computational science, with a focus on systems under uncertainty. Research experience with the department of energy. Let our skills become your skills. Working with uncertainty quantification requires a broad range of skills. Thus, at the UQ Foundation, we ensure we have an equally broad range of expertise that supports all facets of uncertainty quantification. We teach hands-on workshops and training courses on a variety of topics that are needed for uncertainty quantification. You can pick from a set of modules to customize your own experience to meet your needs, or you can pick from one of our standard courses. We also will work side-by-side with your team as a consultant, contractor, or research collaborator. It's up to you. Have you ever wanted to leverage advanced technologies and expertise in UQ, but don't know where to turn? Contact us, and we can help you find the best research partner for your grant or contract. Contributions of time and resources are in part what makes the Foundation successful. Join us, and we will connect you to others interested in UQ, and help keep you up to date on new developments in UQ. You'd like to leverage UQ and UQ technologies, but don't know how? Contact us, and talk to one of our experts about how the Foundation can help you get the most out of your data, streamline your process, and achieve optimal results. Six Sigma Black Belt and technology advocate with an extensive background in IT leadership. Consulting experience in financial, transportation, and technology markets. The Uncertainty Quantification Foundation is a Delaware-based non-profit corporation. The Foundation is currently awaiting determination of exemption as a 501(c)(3) organization, therefore any charitabe contribution may not be currently eligible for a charitable income tax deduction. Upon determination of charitable status, the UQ Foundtaion will notify all donors regarding the status of any of their contributions.